Microsoft India has finally launched the Surface Go tablet in the Indian market. The Surface Go is available in two variants; the 64GB model is priced at INR 37,999 ($530) while the 128GB model is priced at INR 49,999 ($698). The Surface Go is available exclusively on Flipkart for now. It will go on sale December 27 but you can pre-order it right now. The Surface Go is Microsoft's latest tablet running Windows 10. It is also the cheapest, coming in under the more expensive Surface Pro model. Due to the budget nature, the specs are somewhat low-end. You get a dual-core Intel Pentium Gold 4415Y processor clocked at 1.6GHz with Intel HD Graphics 615. The 64GB storage model comes with 4GB RAM while the 128GB model comes with 8GB RAM. However, while the 128GB model has SSD flash storage, the 64GB model uses the much slower eMMC storage. In terms of connectivity, you have 1x USB-C, 1x Surface Connect port, microSDXC card slot and 3.5mm headphone jack. The display is a 10-inch 3:2 panel with 1800x1200 resolution, 10-point multi-touch support and Corning Gorilla Glass 3. You also get two cameras, a 8MP on the back and a 5MP on the front. There's also 2W stereo speakers with Dolby Audio Premium. 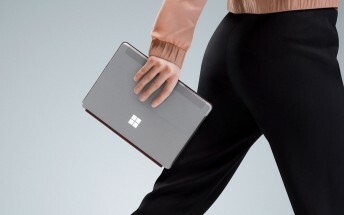 The Surface Go has a built-in kick stand like the more expensive Surface Pro and also comes with its own Surface Go Signature Type Cover and supports the Surface Pen. However, the Type Cover will be coming to India at a later date. The price for the Type Cover will be INR 11,799 ($165). The Surface Go comes with Windows 10 in the infamous S-Mode, which only lets you install and run apps from the Microsoft Store. However, it is quick and easy to turn that off and then you will be able to run all your Windows applications on this.